The Rail Trail Chicks did a fabulous job yesterday at Spartan Fenway. I'm so proud of all of my girls. We really do make a great team. I do have a full recap coming, when my arms work again. I have to make a trip to the grocery store and the thought of lifting grocery bags makes me want to cry. Sad. I know. Georgia77! I emailed you. 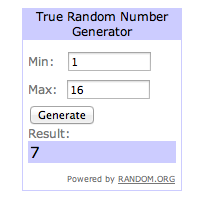 Please respond within 24 hours or a new winner will be chosen. For those of you who didn't win - my discount code for 20% off rwtg20 is good through the end of the year at Charming Ties! I'm glad you had a great time at the Spartan race yesterday, can't wait to hear about it! Yay!!! Congrats Jen!!! Can't wait to hear all about it!! Nice job Rail Trail chicks! !